This is an experience for installation of IDES server for ECC6 EHP4. This is also done on SuSE Linux 10SP3. At the time of writing this document, I have also planned to install the same on virtual machine but am not really sure about how to proceeed. Should I proceed with VMWare or proceed with XEN the virtual machine app;lication comes bundled with SuSE linux. But before all I do need to look into the prerequisites of the installation, that is the media, the machine and the installation guide. The media list is as under…..
Before starting the installation we need to go thru the minimum prerequisite checks. Main things are the necessary C Libraries, Java, and the Java policy certificates. Lets check that step by step as below…. This shows that the jpackage utils are installed. We also do need to check up whether the the java jdk is installed or not. 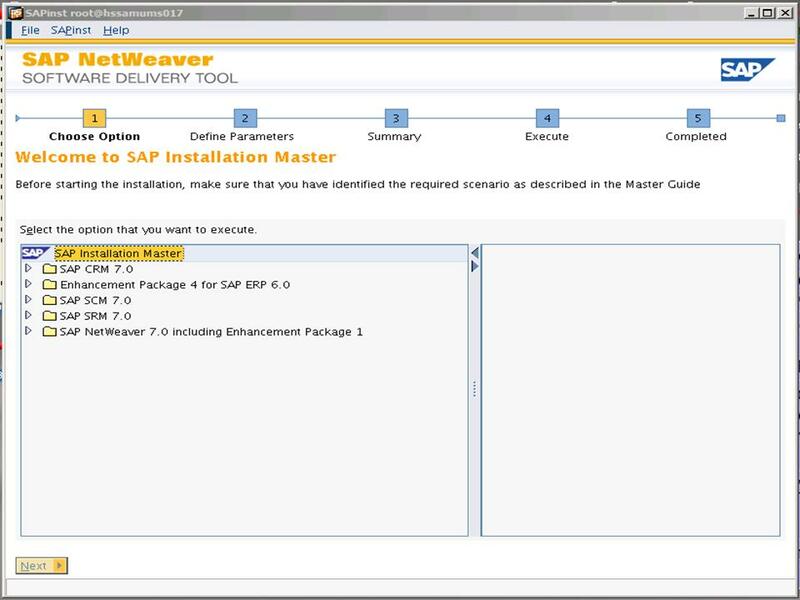 Just for a simple check you start SAPINST from the installation master. For this change your directory to the directory where U already have copied the installation master(for my case it was /sapcd/D51037622 then you go to the respective OS-Hardware directory. As I was doing the on and IBM blade server HS21 (as usual as my previous cases) it is a XEON processor 64 bit environment. Hence I choose the directory IM_LINUX_X86_64 and hence the full path of the directory is /sapcd/D51037622/IM_LINUX_X86_64. Here I have executed SAPINST. Please see command below for the same. As soon as I executed the command with a little surprise a cute little splash screen appeared which i didn’t see before or might have not noticed properly, like ECC 6 installation or BW installation. This is the normal initial startup screen; from there I selected the tree EHP4 for ERP6.0 and it was another surprise. 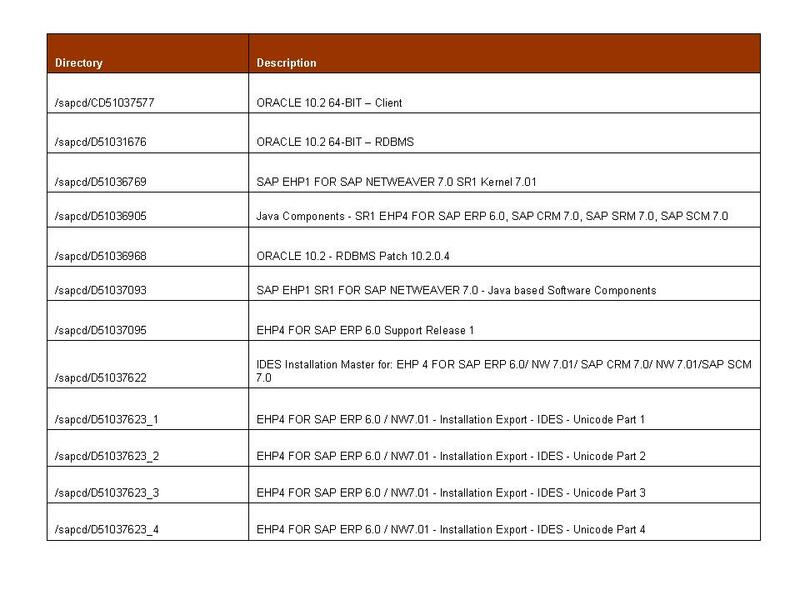 It seems the ABAP + JAVA installation mode is not there. 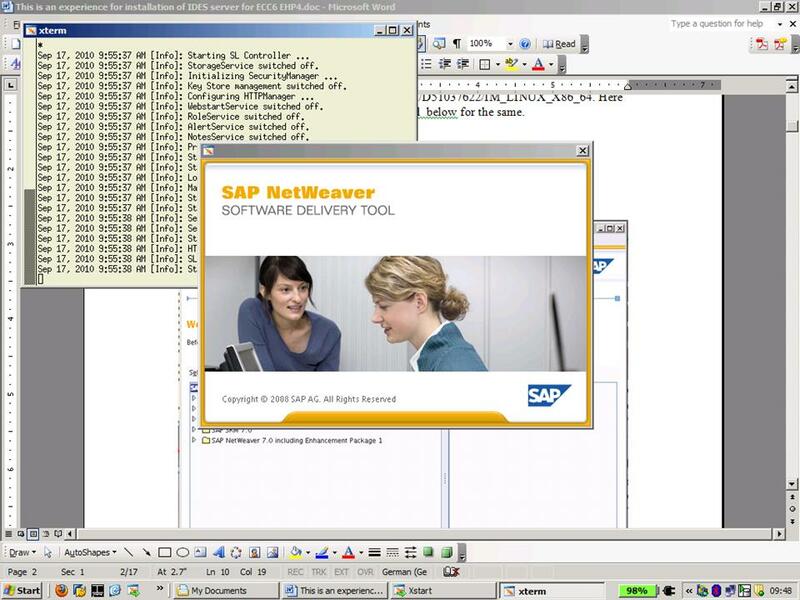 On start only it is taking you into entirely different path for ABAP and JAVA. Look at the screen below for reference. Although I was planning to do ABAP and JAVA separate instance with same SID this time from my learning in the BW project, but frankly speaking I never thought this type of surprise. Lets’ see how any surprises more. 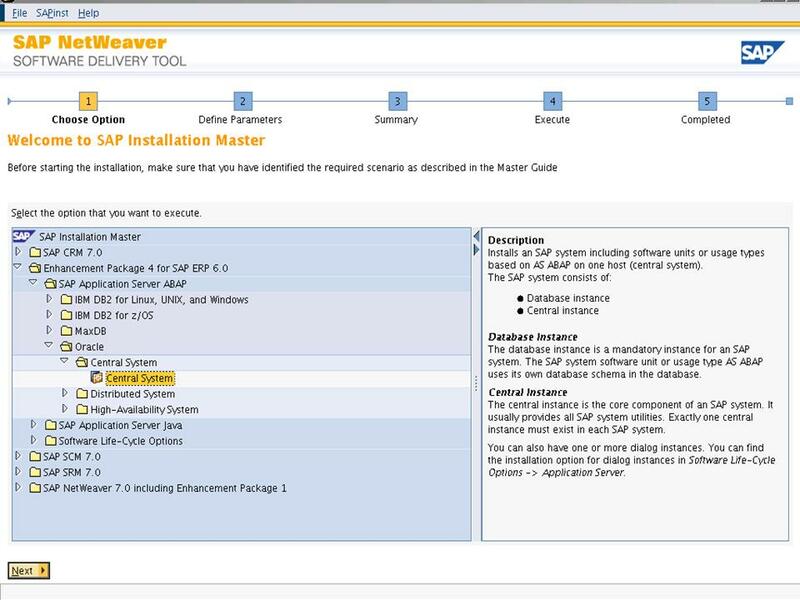 As you see above I have selected the path Enhancement Package 4 for SAP ERP 6 à SAP Application Server ABAP àOracleà Central System à Central System for installing the central instance and clicked next. Following screen appeared and I choose default installation only and went a step ahead. It landed up in the next screen where I had to specify the SID of the system and mount directory of SAP and also understand UNICODE is not the RECOMMENDED but the only choice. 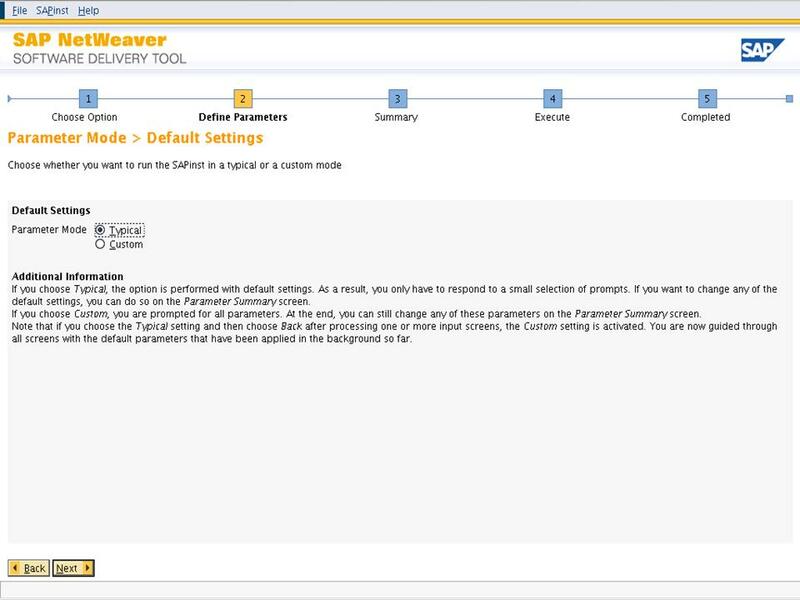 May be there is a possibility for changing the option if I had clicked the Custom button typically in the previous screen as that gives you more flexibility of choosing installation parameter. No I also checked this option but this option too is not allowing me to do so. So one thing is very clear – UNICODE is not the RECOMMENDED but the only choice. 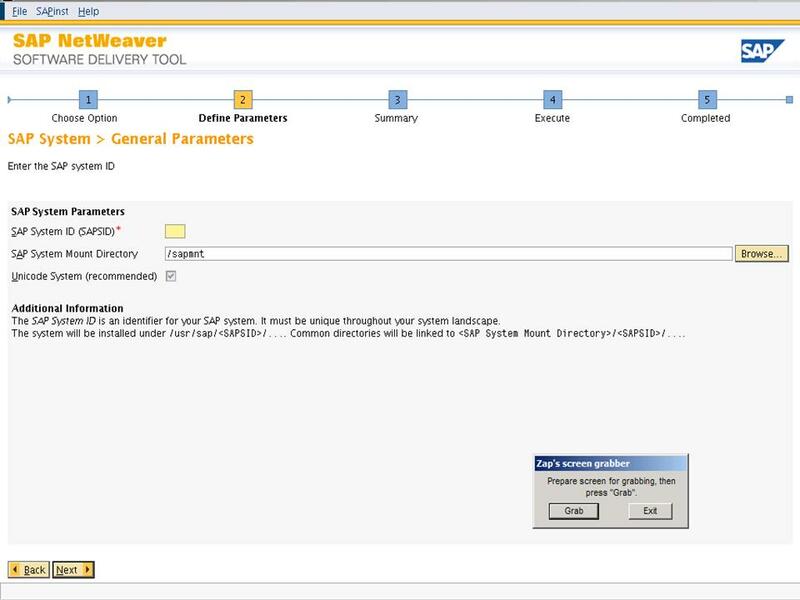 As there is no other option I decided to click on the next button after specifying the SID and did actually no change in the SAP system mount directory and kept it as “/sapmnt”. Pingback: ECC6 EHP4 installation… « Diary of a Confused DBA…..